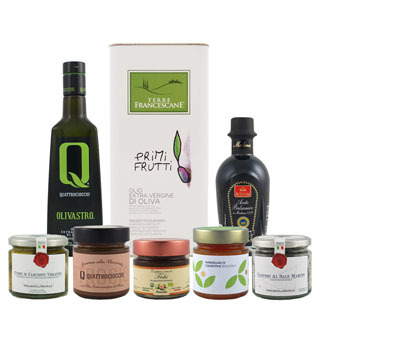 From renowned Puglian producer, Olio De Carlo, this stone-crushed basil extra virgin olive oil is made by milling hand-picked olives simultaneously with fresh picked basil. The resulting oil is incredibly aromatic and truly natural in flavor. Try on salads, bruschetta, grilled and steamed vegetables, sauces and fresh cheeses.